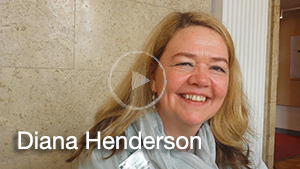 Diana Henderson‘s areas of research and interest include Shakespeare, gender studies, early modern poetry and drama, modernism, media studies, and world drama. Her publications include the books Alternative Shakespeares 3, Collaborations with the Past: Reshaping Shakespeare Across Time and Media, A Concise Companion to Shakespeare on Screen, Passion Made Public: Elizabethan Lyric, Gender and Performance, and articles in (among others) Shakespeare Survey, Renaissance and Reformation, Shakespeare and Genre, Thomas Middleton in Context, Knowing Shakespeare, Shakespeare and War, Victorian Shakespeare, Shakespeare: The Movie 2, Shakespeare After Mass Media, A New History of Early English Drama, Virginia Woolf: Reading the Renaissance, and numerous volumes in the Cambridge and Blackwell’s Companions series. 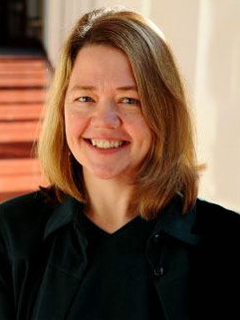 She has worked as a dramaturg, was a principal participant in MIT’s collaborations with the Royal Shakespeare Company, and is co-editor of Shakespeare Studies. Alternative Shakespeares, 3, editor. Routledge, 2008. Concise Companion to Shakespeare on Screen, editor. Oxford: Blackwell Publishing, Inc., 2006. Passion Made Public: Elizabethan Lyric, Gender and Performance. Urbana: University of Illinois Press, 1995. Shakespeare Studies, Volume 45, co-editor (with James S. Siemon), Plainsboro, NJ: Associated University Presses, 2017. Shakespeare Studies, Volume 44, co-editor (with James S. Siemon), Plainsboro, NJ: Associated University Presses, 2016. Shakespeare Studies, Volume 43, co-editor (with James S. Siemon), Plainsboro, NJ: Associated University Presses, 2015. Shakespeare Studies, Volume 42, co-editor (with James S. Siemon), Plainsboro, NJ: Associated University Presses, 2014. “‘This Distracted Globe’: Broadcasting Copiousness and Commonality in the Global Shakespeare Video and Performance Archive.” For Broadcast Your Shakespeare: Continuity and Change Across Media, ed. Stephen O’Neill. Bloomsbury Publishing [Arden Shakespeare], 2018: 67-85. “The Merchant in Venice: Shylock’s Unheimlich Return,” for Shakespeare in Cross-Cultural Spaces, a special issue of Multicultural Shakespeares. eds. Varsha Panjwani and Robert Sawyer 14.2 (2017): 165-180. “The Romance of King Lear: Genre and Modernity in Hobson’s Choice and Life Goes On.” Litteraria Pragensia: Studies in Literature and Culture vol. 26, no. 52, December 2016 [published March 2017], “Versions of King Lear.” Eds. Martin Procházka, Michael Neill and David Schalkwyk: 49-57. Introduction and “Star Wars and Shakespearean SpaceTime: On Mentors and Our Collective Future,” for “The Importance of Being Hawkes” Forum, Shakespeare Studies vol. 44: 2016. “Shakespeare Into Fiction.” The Cambridge Guide to the Worlds of Shakespeare (print and online editions). Ed. Bruce Smith. Cambridge University Press. 2016: 1707-1715. “Tempestuous Transitions and Double Vision: from early to late modern gendered performances on stage, film, and in higher education.” Rethinking Feminism in Early Modern Studies: Gender, Race, and Sexuality. Eds. Ania Loomba and Melissa Sanchez. London and New York: Routledge, 2016: 59-71. “Pluralizing Performance.” Shakespeare in Our Time: Critical Perspectives; the Shakespeare Association of America Companion. Eds. Dympna Callaghan and Suzanne Gossett. Bloomsbury Arden Shakespeare, 2016: 311-319. “Magic in the Chains: Othello, Omkara, and the materiality of gender across time and media.” The Oxford Handbook of Shakespeare and Embodiment. Ed. Valerie Traub. Oxford University Press, 2016: 673-693. “Shadow Soldiers and Precarious Unions: The Legacies of Shakespeare’s History Play.” Shakespeare Jahrbuch 151 (2015):38-52. “Ephemeral Echoes and Brash Possibilities: the Liberation of Adapting Shakespeare’s Early Comedies.” Shakespeare in Performance. Eds. Eric C. Brown and Estelle Rivier. Cambridge Scholars Press, 2013: 70-85. “Where Had All the Flowers Gone? The Missing Space of Female Sonneteers in Mid-Seventeeth-Century England.” Renaissance and Reformation/Renaissance et Réforme 35.1 (Winter/hiver 2012), eds. Katie Larson and Alysia Kolentsis: 139-165. “Catalysing What? Historical Remediation, the Musical, and what of Love’s Labour’s Lasts.” Shakespeare Survey 64: Shakespeare as Cultural Catalyst. Ed. Peter Holland. Cambridge University Press, 2011: 97-113. “Shakespearean Comedy, Tempest Toss’d: Genre, Social Transformation, and Contemporary Performance” for Shakespeare and Genre: From Early Modern Inheritances to Postmodern Legacies. Ed. Anthony Guneratne. Palgrave MacMillan, 2011: 137-152. “Afterlives: stages and beyond.” Thomas Middleton in Context. Ed. Suzanne Gossett. Cambridge University Press, 2011: 325-335. “The Sonnet, Subjectivity, and Gender.” For The Cambridge Companion to the Sonnet. Ed. A.D. Cousins. Cambridge University Press. 2011: 46-65. “Mind the Gaps: the Ear, the Eye, and the Senses of a Women in Much Ado About Nothing.” Knowing Shakespeare: Senses, Embodiment, and Cognition. Eds. Lowell Gallagher and Shankar Raman. Palgrave Macmillan, 2010: 192-215. “Love Poetry.” A New Companion to English Renaissance Literature and Culture, vol. 2. Ed. Michael Hattaway. Basil Blackwell, 2010: pp. 249-263. “Re-contextualizing Literary Education: A Multi-Variable Experiment in Learning and Performance.” English Language Notes 47.1 (Spring/Summer 2009): 105-114. “Meditations in a time of (displaced) war: Henry V and the ethics of performing history.” Shakespeare and War. Eds. Paul Franssen and Rosalind King. Palgrave Macmillan, 2008. “Alternative Collaborations: Shakespeare, Nahum Tate, Our Academy, and the Science of Probability.” Alternative Shakespeares 3. Ed. 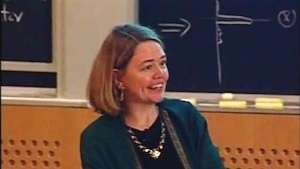 Diana E. Henderson. Routledge, 2008: 243-63. “The Artistic Process: Learning From Campbell Scott’s Hamlet.” A Concise Companion to Shakespeare on Screen. Ed. Diana E. Henderson. Oxford: Blackwell, 2006: 77-95. “William Shakespeare: The Tragedies.” For The Oxford Encyclopedia of British Literature. David Kastan, Editor-in Chief. Oxford University Press. 2006. “Performing History: Henry IV, money, and the fashion of the times.” A Companion on Shakespeare and Performance. Eds. Barbara Hodgdon and W. B. Worthen. Oxford: Blackwell. 2005: 376-96. “Theatre and controversy, 1572-1603.” History of British Theatre, Vol. 1: Origins to 1660. Eds. Jane Milling and Peter Thomson. Cambridge University Press. 2004: 242-263. “A Shrew for the Times, Revisited.” Shakespeare: The Movie II: Popularizing the plays of film, TV, video, and DVD. Eds. Richard Burt and Lynda E. Boose. Routledge, 2003: 120-139. “The Tempest in Performance.” A Companion to Shakespeare, Volume IV: The Poems, Problem Comedies, Late Plays. Eds. Richard Dutton and Jean Howard. Basil Blackwell. 2003: 216-239. “Shakespeare: The Theme Park.” Shakespeare After Mass Media. Ed. Richard Burt. New York: Palgrave, 2002: 107-126. “King and No King: ‘The Exequy’ as an Antebellum Poem.” The Wit to Know: Essays on English Renaissance Literature for Edward Tayler. Eds. Eugene D. Hill and William Kerrigan. Fairfield, CT: George Herbert Journal Special Studies and Monographs, 2000: 57-75. “Reading Vernacular Literature” (co-authored with James Siemon). A Companion to Shakespeare. Ed. David Scott Kastan. Basil Blackwell, 1999: 206-222. “Female Power and the Devaluation of Renaissance Love Lyrics.” Dwelling in Possibility: Women Poets and Critics on Poetry. “Reading Women’s Writing” series. Eds. Yopie Prins and Maeera Shreiber. Ithaca: Cornell Unversity Press, 1997: 38-59. “The Theater and Domestic Culture.” A New History of Early English Drama. Eds. John D. Cox and David Scott Kastan. New York: Columbia University Press, 1997: 173-194. “Joyce’s Modernist Woman: Whose Last Word?” Modern Fiction Studies 35.3 [special issue: Feminist Readings of Joyce] (1989): 517-528. “Many Mansions: Reconstructing A Woman Killed with Kindness.” SEL: Studies in English Literature, 1500-1900 26.2 (1986): 277-294. Diana Henderson interviewed in Weimar, Germany by Cornelia Kaminski for Klett Publishers.